Loan forgiveness for college students defrauded by for-profit colleges: Why not simply allow defrauded students to take bankruptcy? The Department of Education is revising the regulations for handling student-debtor requests for debt relief. Under present regulations, student-loan borrowers are eligible for debt relief if they can show they were victims of misrepresentation by the institution they attended. But the old regulations are cumbersome, and DOE has been swamped by debt relief requests after Corinthian Colleges closed last year. Corinthian had 350,000 students or former students. Apparently, the Department of Education is proposing some sort of hearing process where students who claims to be fraud victim can confront the colleges that lured them into enrolling and taking out student loans. But how will that work? All the for-profit colleges have teams of lawyers, and the defrauded students who confront them at hearings will likely have no lawyer at all. That's a crumby idea. Second, DOE is contemplating some kind of statute of limitation that would bar a student's fraud claim if not filed by some yet-to-be-defined time limit. Another crumby idea. Student-loan creditors can pursue student-loan defaulters any time they want--30 years after a loan was incurred if they choose. That's because there is no statute of limitation on debt collection of a student loan. So why should students be restricted by a time limit to file misrepresentation claims? For loans first disbursed prior to July 1, 2007, the borrower may assert as a defense to repayment, any act or omission of the school attended by the student that relates to the making of the loan or the provision of educational services that would give rise to a cause of action against the school under applicable State law. If the Department of Education were willing to face facts, it would admit that millions of students who enrolled at for-profit colleges have valid misrepresentation claims. 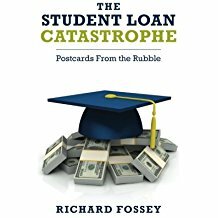 The for-profit industry as a whole has a 5-year default rate of 47 percent--strong evidence that many of the programs the colleges offered did not lead to well-paying jobs. Rather than construct an elaborate, expensive, and unworkable administrative process for sorting out student fraud claims, the Department of Education should simply allow all students who attended a for-profit college and who are now broke to discharge their student-loan debts in bankruptcy without having to meet the "undue hardship" standard that currently applies to student-loan debtors in the bankruptcy courts. In other words, an insolvent student-loan debtor who attended a for-profit college should be able to discharge student-loan debt in bankruptcy like any other nonsecured debt. After all, the bankruptcy courts have the expertise and the resources to sort out valid bankruptcy claims from invalid ones. But DOE won't expedite the loan forgiveness process because it knows that millions of people took out student loans for worthless college experiences. If every student who was huckstered by a for-profit college obtained student-loan debt relief, the cost of loan forgiveness would amount to hundreds of billions of dollars.